The new 526-acre National Cemetery in Jacksonville, Fla, will serve Veterans’ needs for more than 100 years. The cemetery is located north of the Jacksonville International Airport and approximately nine miles from Interstate 295. Interments at Jacksonville National Cemetery began Jan 7,2009. This new cemetery serves approximately 189,000 Veterans in the northeastern Florida/southeastern Georgia region. There are six other VA National Cemeteries in Florida: Barrancas, St. Augustine, Florida (Bushnell), South Florida, Bay Pines and Sarasota. The initial Phase 1A construction efforts, focusing on a 20-acre early burial area with temporary facilities, will be followed by the second construction stage of the project (Phase 1B). When completed, the 52-acre Phase 1 development will provide 8,145 full casket grave sites, including 7,300 pre-placed crypts, 5,100 in-ground cremation sites and 4,992 columbarium niches. Phase 1 will include roadways, an entrance area, an administration and public information center, a maintenance complex, a flag assembly area, a memorial walkway, two committal service shelters, as well as interment areas. Other infrastructure improvements will include grading, drainage, fencing, landscaping irrigation system and utilities . For more information, call the cemetery staff at (904) 766-5222. The cemetery’s fax number is (904) 766-5980. 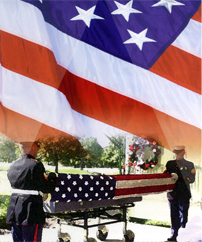 To make burial arrangements, contact the National Cemetery Scheduling Office at (800) 535-1117.